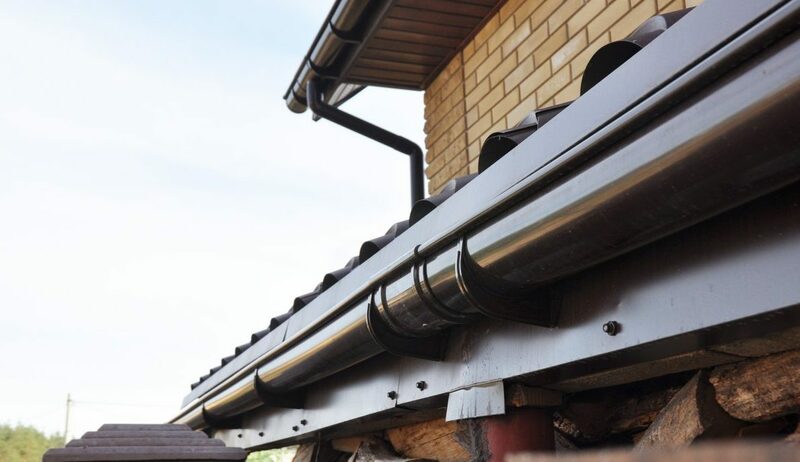 Holder gutter drainage system on the roof. Closeup of problem areas for plastic rain gutter waterproofing. Blockages in sinks are usually as a result of Congealing of oils and grease in the pipes. The buildup tends to trap particles such as drained foods. This restricts the natural flow of water in the sink. The blocked food in the pipe will decompose and this may cause a foul odour in the kitchen. If the blockage is neglected, the pipes will fully clog and water won’t pass through. It is therefore important to rectify this problem as early as possible. The first immediate sign that something is wrong is a slow draining sink. This must be checked out immediately. This product must not be confused with Caustic soda. Caustic is a toxic product that produces dangerous fumes. If by any chance you still feel it is the best product for you, ensure you’re safe by using hand gloves, and limiting exposure time on your skin. Soda crystals can also be used to clear blocked sinks though plunging works better. As long as this is a normal blockage, soda crystals will work. Pour boiling water down the sink and add one mug of soda crystals. Note: If the problem has not being rectified, repeat the process again. You will know you are making progress if the drain rate improves. If the blockage is severing, use stronger reactants such as a mixture of bicarbonate soda and vinegar. Use this after trying out the Soda crystal treatment. A mixture of bicarbonate soda and vinegar will create a chemical reaction that will break down the debris allowing water to flow. The easiest way to ensure no clogging takes place is by having a weekly clean out routine. This is where you pour a cup of soda crystals and hot water in your sink at least once a week. Tip: Soda crystals should not be used on Aluminum surfaces. Is Bicarb and White Vinegar Good? I bet you have seen plenty of videos on Yu tube about this. Most of you get fascinated by the fizzle effects they see on Yu tube and immediately want to try it out. I do not want to burst your bubble, but the reality is that bicarb and white vinegar isn’t the best. Don’t be fooled. Remember that vinegar is acidic and bicarb is basic in nature. What this means is that the chain reaction; though fizzy is nothing more than a neutralizing effect. Though it works, it is not the best. Bruce Maxwell who is a qualified chemist says that bicarb has a PH that is too low. He recommends stronger alkali such soda crystals with a combination of hot water. This combination of soda crystal with vinegar is the best to use. How do I Prevent Autumn Leaves from Blocking my Drains?